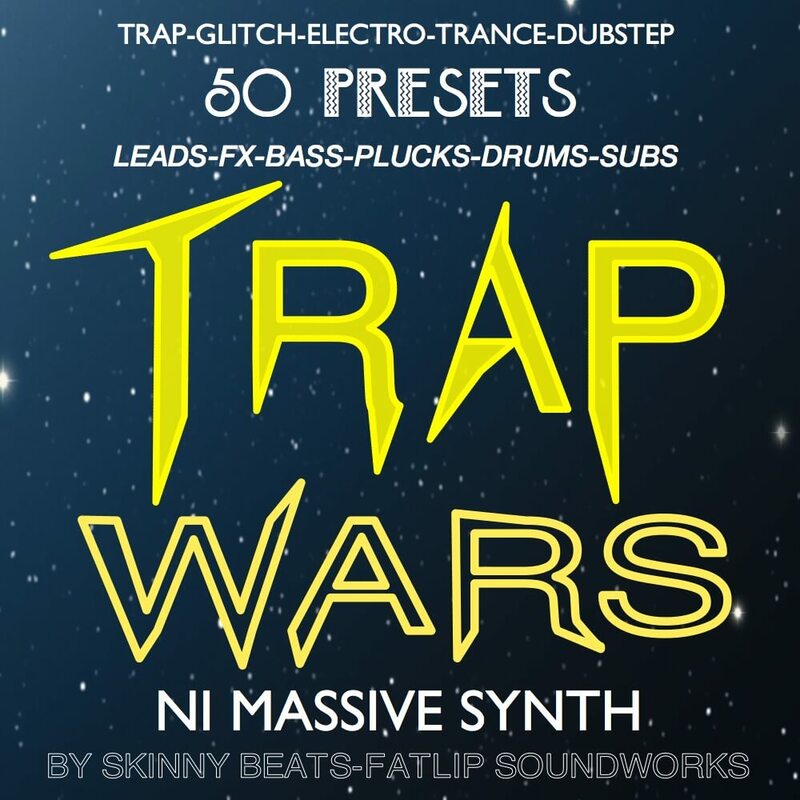 Includes 50 royalty free presets, for Trap, Dubstep, Glitch, Electro, Trance, Hip Hop, and House. Also comes with Massive Drums, 808 style Kicks, Subs, Hi Hats, Snares and unique FX. The pack has a wide spread of sounds for the go to pack for making the trap track you always wanted to. These sounds have been designed by Buddy Peterson who makes many other sounds for many different synths and samplers. This pack was inspired by UZ , A.I.W.I.B., Diplo, Flosstradamus, Mimosa, Luminox, Stooki, Massappeals, Skrillex, A-Trak, DJ Snake. there are also some preprogrammed Macros for morphing the sound.